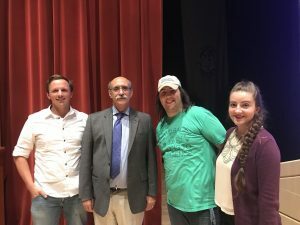 The BCMB Graduate Student Organization hosted the 2008 Nobel Laureate in Chemistry, Martin Chalfie, for a public talk last night. Dr. Ch alfie, with two others, won the Nobel Prize for work on green fluorescent protein (GFP) which is now commonly used in biological research. 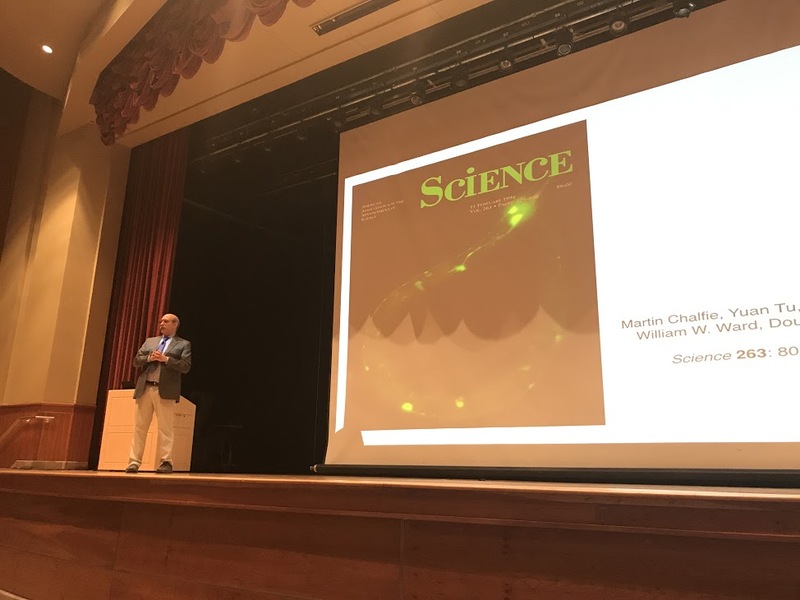 In addition to going over the discovery and use of GFP, Dr. Chalfie talked about the importance of funding scientific research and the importance of preprint servers to stream-line scientific communication. A big thanks to the GSO for obtaining funds and hosting this visit.